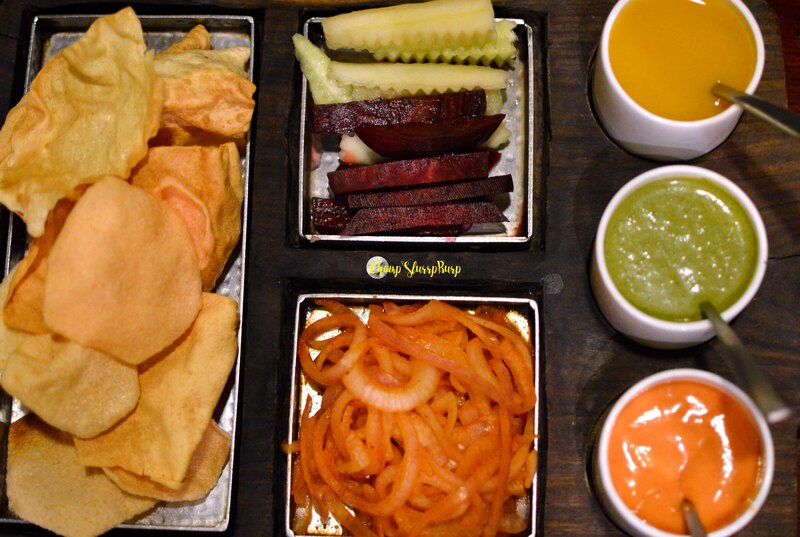 Mangolicious soiree at Indian Grill Room - CHOMP! SLURRP! BURP! If you are a sucker for mangoes, it generally means living your summer between the first sweet and succulent fruit to the last shards before rains kick in. 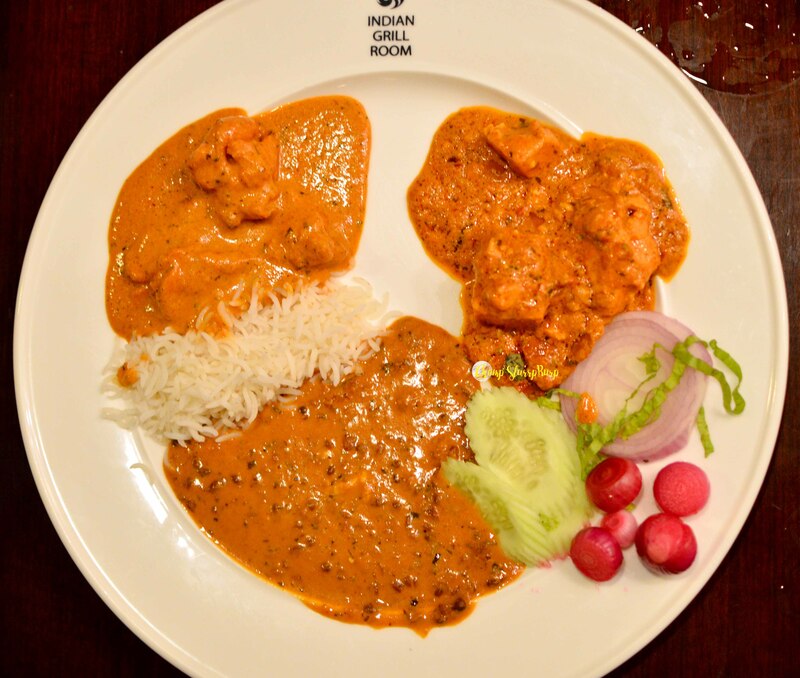 And you have another reason to rejoice now, thanks to Indian Grill Room. The opulent fine dine restaurant is located at the third floor of the Suncity Business Towers. Step out of the elevator to the smell of fresh mogras that adorn the reception and are so inviting. Unlike any other buffet space, IGR houses a gorgeous terrace that is open during evenings (for which they have an a la carte menu) an open kitchen, fine leather couches, goblets and an extensive buffet menu – sans the grills on the table mind you. The meal started with a mixed tray of papad – aloo papad be my fav since its not a very common preparation, salads and chutney. The summer menu drinks include mango shake, mango lassi and aam panna. I went for the aam panna which was refreshing as ever. We also tried their LIIT – rather decent and Virgin Mojito, again was a real thirst quencher. Start with an extensive appetizer spread – bhuna tandoori jheenga, lemon garlic fish, soya achaari tikka, vegetable croquettes, dahi ke kebab, paneer tikka, mutton galauti on ulte tawe ka parantha and the special – ambi chicken seekh kebab. What shines through is the mutton galauti with its rich texture and fine, fine preparation. The ambi chicken seekh is not far behind with its distinct taste of kachi ambi and very refreshing. The fish and prawns are very juicy and toothsome. A special mention to the dahi ke kebab here which are served like a kind of tiny ball, but the dahi was a tad sour which mellowed the otherwise awesome prep. 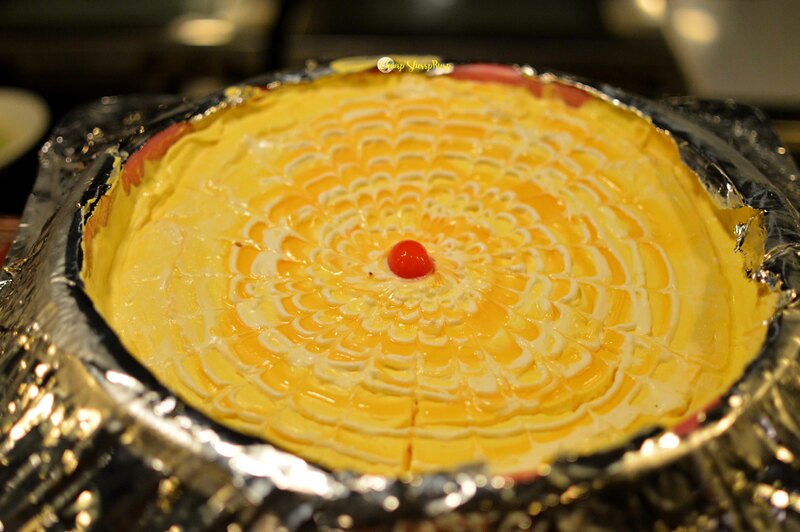 The buffet spread included salads,live chaat papdi and an array of mains. 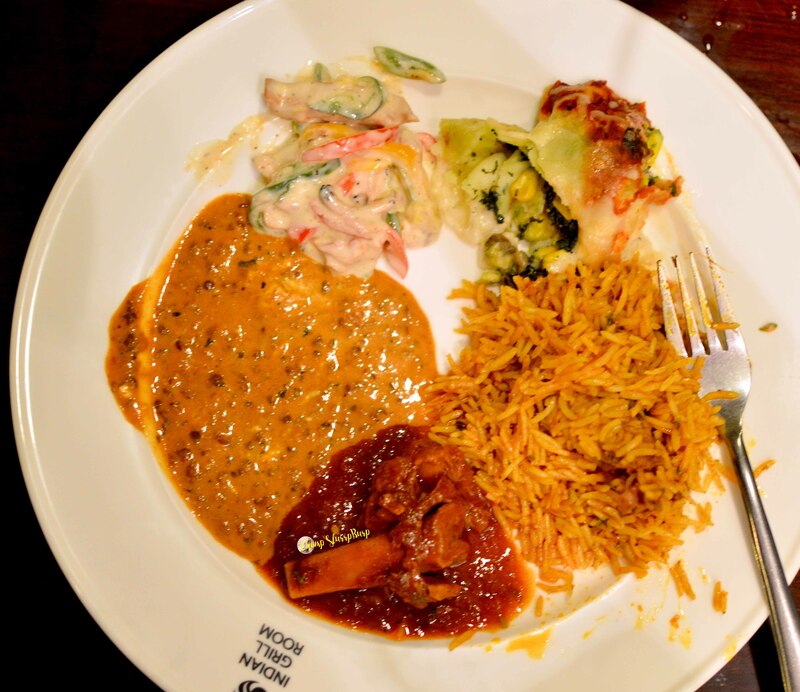 Our plates included a classic creamy chicken salad, corn and spinach canneloni – quite delish – chicken pulao, dal makhni, mutton beliram, butter chicken, paneer butter masala and an assortment of breads. Must try is the delectable mutton gravy. 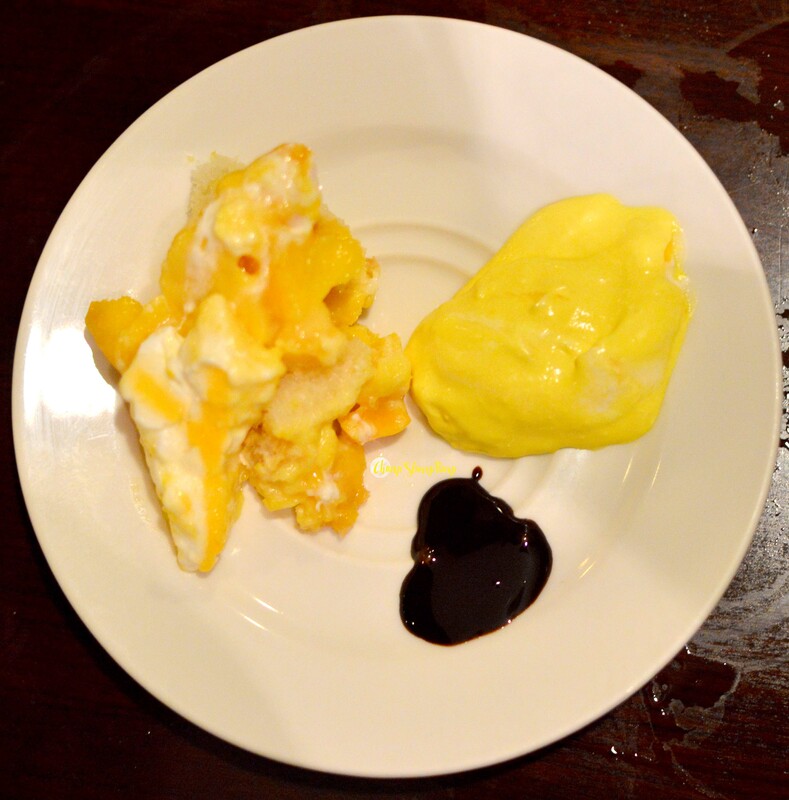 Desserts – fresh mangoes with ice cream, mango pudding and mango mousse – the desserts are the perfect end to a fine meal and you absolutely cannot miss out on the mango pudding – a creamy and super delicious pudding is the perfect end to a mangolicious affair. 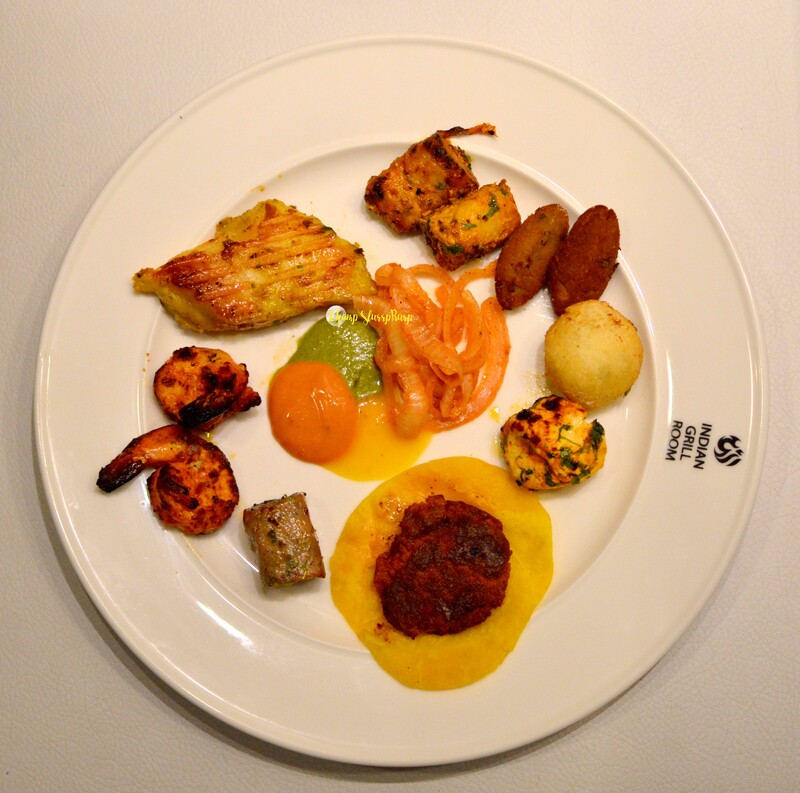 Do check out the mango affair at Indian Grill room and don’t miss out on their galauti kebabs! Lord of the Drinks, Barrel House!